Apple Clean deliver unbeatable carpet, curtain and upholstery cleaning results for domestic and commercial premises in Seaford. 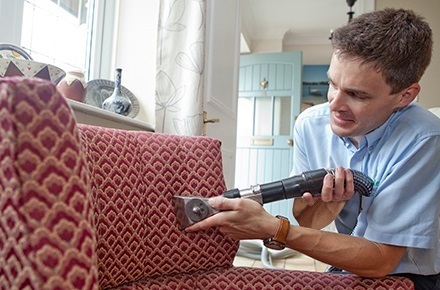 Whether you need effective stain removal, or in-situ curtain and upholstery cleaning, you can trust Apple Clean to satisfy all your requirements for a first class service in Seaford and Newhaven. Hi, I’m Jonathan and for over 25 years I’ve been supplying carpet, curtain and many other cleaning services to homes and businesses in and around Seaford. My beliefs have always been that the best way to success with a local business is to offer an exceptional service which is both professional and personal, giving great customer service and achieving excellent results. Give me a call today and I’ll explain what we can do for you and I’ll give you honest and realistic advice. 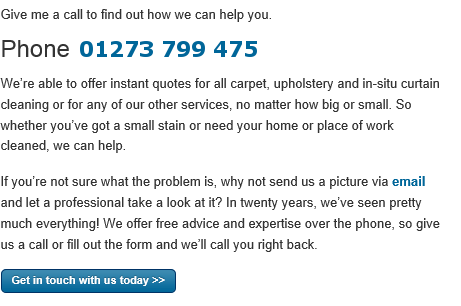 At the same time you can get an instant no-obligation quote. 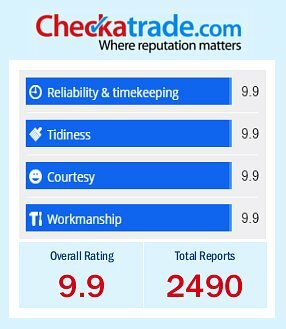 We are very proud members of the Check-a-trade scheme as it enables you to see certified and genuine reviews from past customers in and around Seaford. Give us a call us now on 01273 799 495 to find out more about the cleaning services we provide to homes across Seaford and how we can help you. 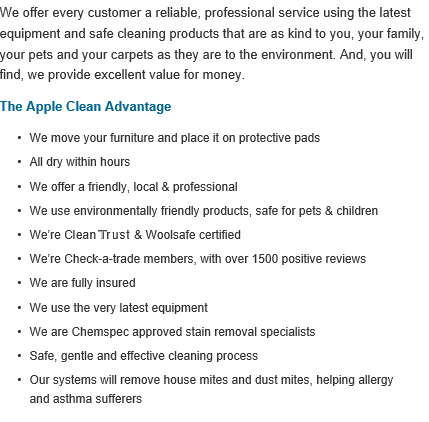 Apple Clean provide a wealth of specialist carpet, curtain and upholstery services in and around Seaford and Newhaven. We have 25 years’ professional experience of delivering expert fabric cleaning advice and treatment to homes and businesses in the area. Our highly trained team uses the latest technology and modern cleaning methods to produce outstanding cleaning results for fabrics and furnishings. We also have the expertise to tackle jobs such as leather cleaning, oriental rug cleaning, specialist stain removal and treating fabrics with Scotchgard protection. Whatever your cleaning requirements, all you need to do is to give Apple Clean a call for a professional result that you will love. 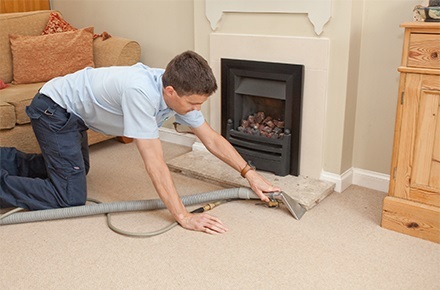 It is a fact that carpets, upholstered furniture and curtains need regular cleaning to keep them in top condition. While it is possible to do this yourself, don’t underestimate the risk of causing damage to the fabric through the incorrect use of cleaning agents or methods. Why take the chance when our professional and courteous operatives can tackle all your cleaning needs safely and effectively, and at very affordable rates too. Whether you are looking for one-off cleans or a regular cleaning contract for your commercial premises, office or home in the Seaford area, Apple Clean can deliver unbeatable results. We have a refreshingly positive ‘can do’ attitude to customer service and a passion for cleanliness!